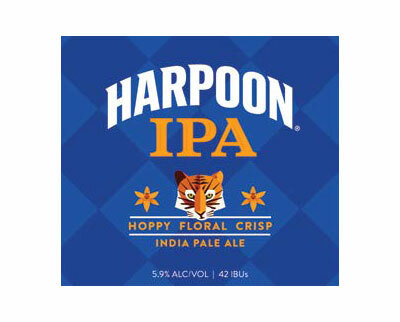 For the first time in the brewery’s 30-year history, the Harpoon IPA label has been completely redesigned, yet a few classic elements that the brewery is known for remain intact. “The checkered pattern has adorned our packaging since 1989,” says Director of Communications, Liz Melby, “and although our arched logo is bigger and bolder, the design of it remains the same.” But by far the most striking change is the addition of the tiger. will include more flavor descriptors to give consumers a better understanding of the taste of the beer before they open the bottle.” Beer geeks were kept in mind as well, as ABV and IBUs have also been added .